IFE’s Research Theme, Infrastructure for Sustainable Communities, addresses real-world challenges in the infrastructure sector, such as societal resilience and net environmental benefits, connected and enriched communities, and financially sustainable infrastructure models. In this video Professor Laurie Buys discusses her role within IFE as leader of the Research Theme, Infrastructure for sustainable communities, as well as the theme’s involvement with IFE’s Visualisation and eResearch facility (Viser). Air conditioning is costly to run, increases electricity consumption and peak demand, and indirectly generates carbon dioxide emissions. Homeowners, governments and industry are all looking for ways to save on energy use, electricity costs and greenhouse gas emissions. 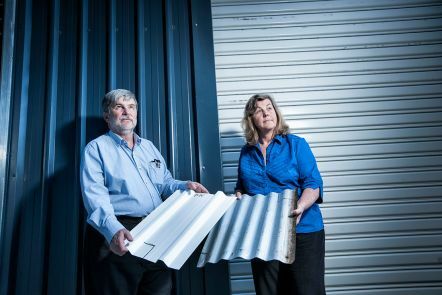 Professor John Bell and Dr Wendy Miller have found that a special roof coating can make buildings more energy efficient by improving their thermal performance. Our research tackles the grand economic, social and environmental challenges facing the world this century. Through this research theme, we are addressing real-world challenges in the infrastructure sector. The world's population is growing, ageing and urbanising. Global demand for energy, water and resources is rising while finite natural resources are declining. Communities expect that public and private infrastructure - from energy and ICT networks to transport systems and buildings - will be integrated, sustainable and tailored to community needs. New ways of designing, building and managing infrastructure are emerging in the transition from the industrial to the digital age. developing policy frameworks, funding systems and business models that deliver sustainable, community-centred infrastructure. infrastructure is resilient and provides net benefits to the environment. infrastructure supports connected and enriched communities. infrastructure models are financially sustainable. enable faster and safer service delivery, to meet the growing demands of connected consumers, businesses and governments, by developing better ICT network infrastructure. 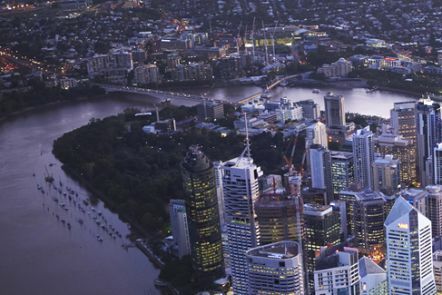 Senior Living Innovation is a major research collaboration between QUT and four leading industry partners that aims to reconceptualise the experience of ageing in Australia with a focus on the senior living industry.